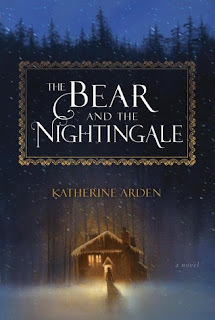 I'm reading The Bear and the Nightingale. Cold? No, a convent was safe. Save, blessed, a respite from her madness. Since shoe could remember, Anna had wanted to take vows. Now her skin blanched in terror; she flung herself forward and caught her father's feet. "No, Father!" she cried. "No please! I don't want to marry." I've been curious about this one but will admit that I really couldn't understand most of the excerpt. This week I am featuring A Crafter Knits a Clue by Holly Quinn from my review stack. Happy reading! I have this on my wishlist!! I am so grateful that you participate weekly. Happy Canadian Thanksgiving weekend!